How to book Machu Picchu Tickets at the last minute? Trip to Machu Picchu last minute: How to buy ticket? The truth is that getting the entrance to Machu Picchu at the last minute is not recommended. However, it is still possible to get the ticket a few days from the trip to Peru. You can buy your ticket in Cusco or online in less than 24 hours. Can I buy the Machu Picchu ticket at the last minute? Can I buy a tour to Machu Picchu at the last minute? Can I buy the Huayna Picchu entrance at the last minute? How to buy entrance to Machu Picchu at the last minute online? How to buy entrance to Machu Picchu at the last minute in Cusco? Questions about Machu Picchu at the last minute? The entrance Machu Picchu can be purchased up to 3 days before the visit. If it is done later, there is a risk of not finding availability. The purchase with days in advance is done online. Another option is to acquire tickets in the city of Cusco. However, the purchase must be made 3 days before. The high season of tourism in Machu Picchu happens between April and October. Book your tickets online and in advance in those months. Tourism agencies offer 1 or 2 day tours to Machu Picchu. These services must be reserved at least 3 days before. Tourism agencies need your passport or identity document to buy the entrance to Machu Picchu for you. During the high season of tourism, tours must be booked online in advance. If not, you run the risk of not visiting Machu Picchu. The entrance to the Huayna Picchu mountain is the most requested ticket in Machu Picchu. The purchase of this type of ticket must be done online up to 3 months before. This ticket can not be purchased in the city of Cusco unless the visitor returns to Huayna Picchu 3 months later. In high tourist season, the Huayna Picchu entrance must be purchased up to 4 months before. The Huayna Picchu is an incredible adventure. Only 400 tourists can climb this mountain every day. Buying the Machu Picchu ticket on the internet is the best option to get an entry at the last minute. To buy tickets online at the last minute, the first thing is to check the availability of tickets. If you found tickets available, you should only register your personal information and make the payment by credit card. In less than 24 hours, visitors can get their Machu Picchu ticket through the internet. Buying the entrance Machu Picchu in the city of Cusco at the last moment is risky. 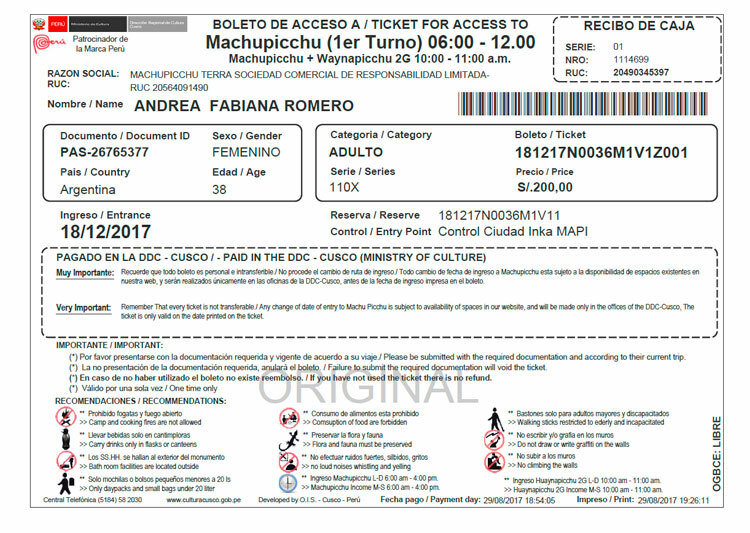 If you buy the ticket a day before, there may be no longer availability of the Machu Picchu entrance. In the Garcilaso House: Garcilaso Street s/n Cusco – Peru. In Aguas Calientes: Av. Pachacutec s/n Cusco – Peru. To buy the entrance to Machu Picchu, your passport must be valid at least until you leave Peru. This document is the only valid one for the purchase. The minimum time to buy the Huayna Picchu entrance is 3 months. The minimum time to buy the Machu Picchu ticket is 3 days. If you travel in high season of tourism, buy train tickets, hotels, bus and guide in advance. 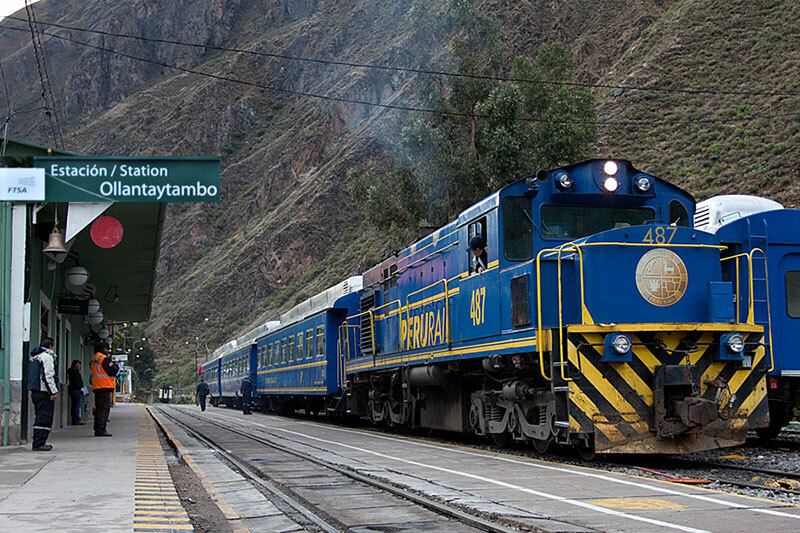 1) How to buy train tickets to Machu Picchu at the last minute? It is not advisable to buy train tickets to Machu Picchu at the last minute because there is a risk of not finding availability. I can buy tickets online or in Cusco up to 3 days before. 2) How to buy bus tickets to Machu Picchu at the last minute? Bus tickets to Machu Picchu can be purchased in Cusco at the last minute. If you travel on your own, you can go to the Aguas Calientes ticket office and buy them on the day of the visit. 3) How to get a guide in Machu Picchu at the last minute? On the same day of the visit to Machu Picchu, you can get tourist guides at the entrance gate. Remember that the guided tour in Machu Picchu is mandatory. 4) How to get a hotel in Machu Picchu at the last minute? It is not recommended to look for a hotel in Cusco at the last minute. The services of your preference may not be available. You can book online if you make your visit at the last minute. 5) How to make the Inca Trail to Machu Picchu at the last minute? Unfortunately, you can not do the Inca Trail at the last moment. Admission tickets are purchased online up to 4 months before. Remember that the Inca Trail is only possible with tickets. We are Ticket Machu Picchu. Book with us, you will avoid dealing with the problems that cause to buy on the official website. We have experience in last minute reservations. Contact us. We can give you your Machu Picchu ticket in 24 hours. The entries will be in your inbox. You should only print them and present them during your visit to the Inca Citadel. 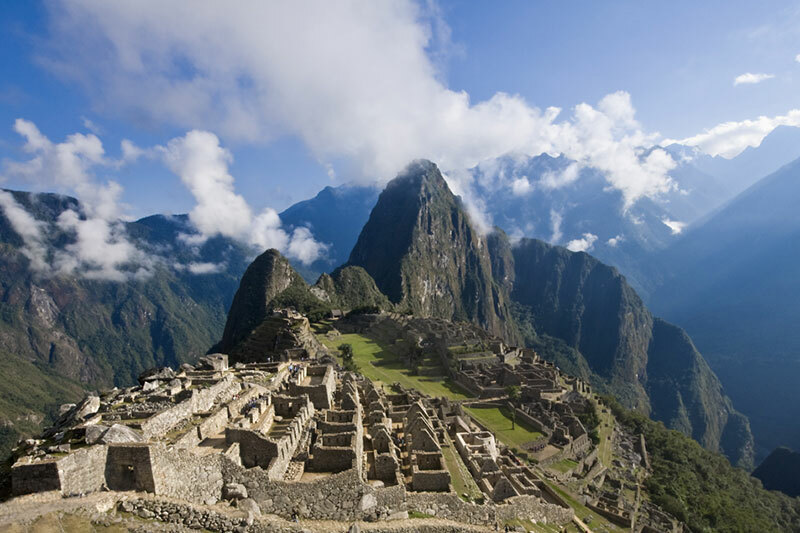 ← How to stay connected on your trip to Machu Picchu in Peru?